Laser Declawing: A laser is used to remove the third bone of the cat's paw. Laser declawing is usually more expensive than blade declawing, but laser declawing results in less bleeding during surgery, as well as less pain and shorter recovery time. This method is not currently done at our practice. 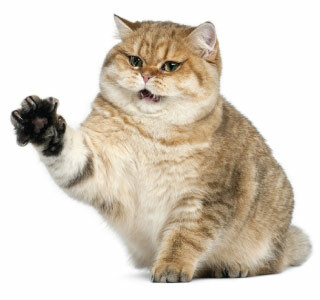 At Belton Veterinary Clinic, our veterinary team has provided education and insight to help many concerned and caring cat owners decide if declawing a cat is the right decision to make. If you are looking into cat declawing surgery, or have any questions about declawing cats, please contact us.